Vinyl may have made a comeback, but don’t expect cine film to follow suit any time soon. That said, before you take that ancient Bell & Howell Filmosound down to the dump, you might be surprised to learn that clever amp techs have found a way to repurpose these home-movie projectors into great-sounding tube-driven guitar amplifiers. 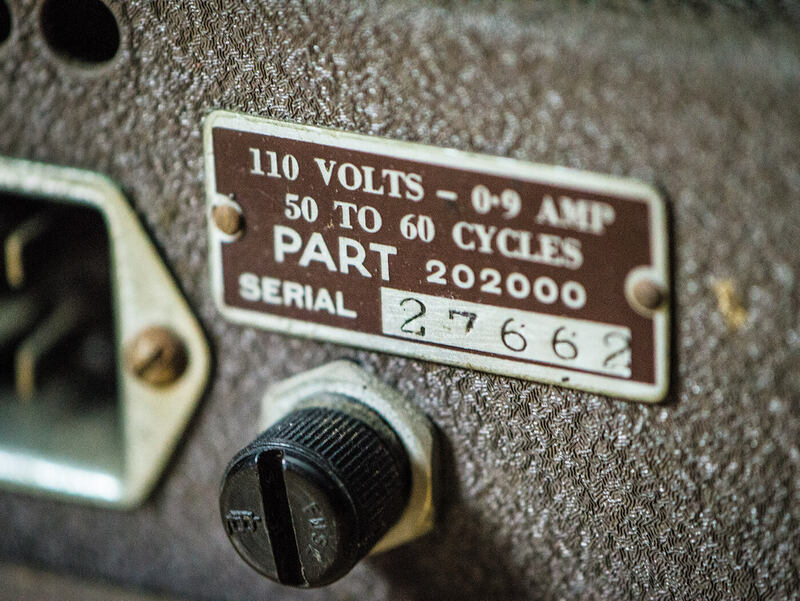 Bell & Howell Filmosounds were introduced back in 1932, but the models we’re interested in, with the removable amplifier section and easy-to-source valves, were made from the mid 1940s. The mechanical projector apparatus, light source and audio sections were integrated, with the amplifier section bolted onto the underside. The amplifiers can therefore be removed and used independently of the projector. 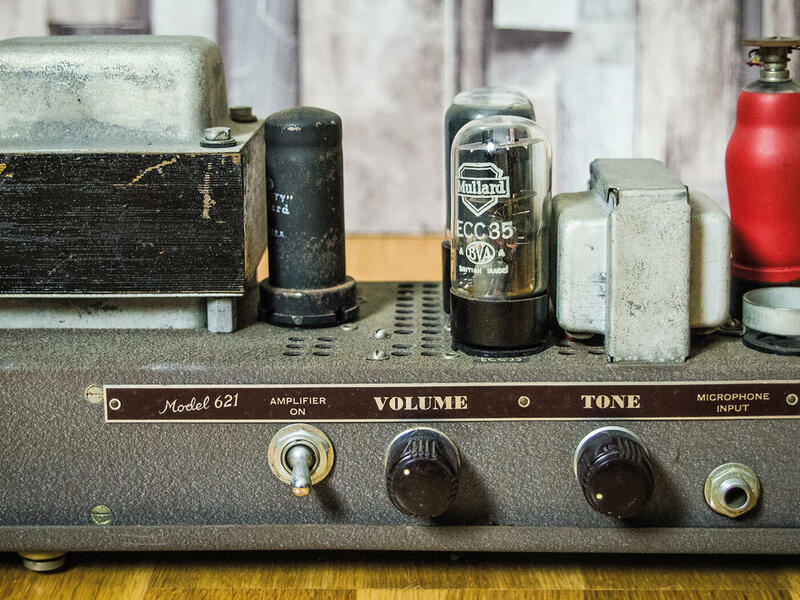 If you’re patient, unrestored Bell & Howell amplifiers can be bought online for £150 or less. 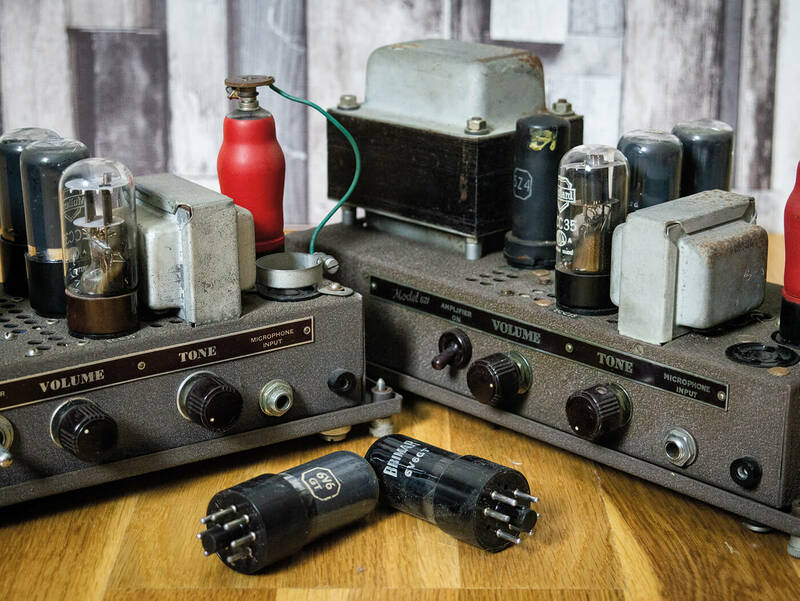 When you consider that you’re getting high-quality vintage transformers, an aesthetically pleasing chassis and – if you’re lucky – a set of working vintage valves, that’s a real bargain. If you need convincing, try pricing up a 5E3 Deluxe kit and then factor in the cost of NOS valves. The brief for this project is simple. 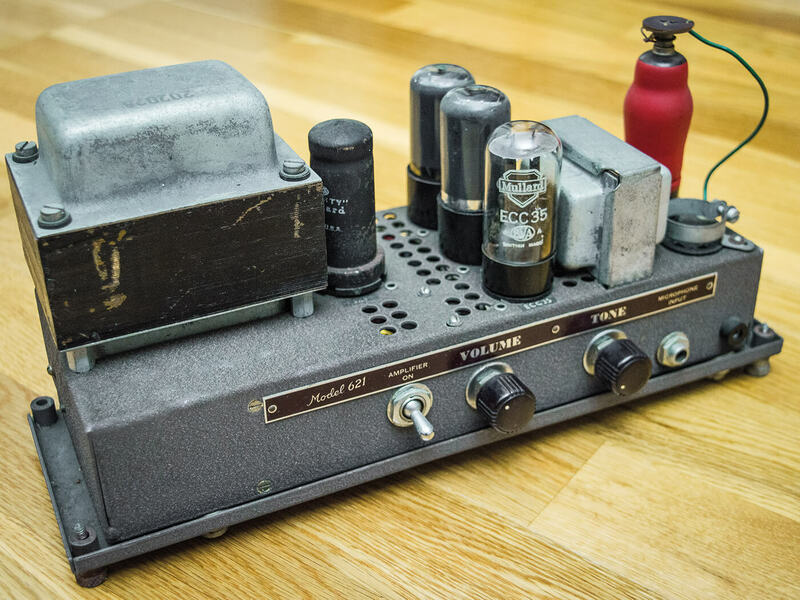 I want to find out if it’s possible to enjoy vintage valve-amp tone without paying thousands for the privilege. As usual with our Workshops, a certain about of soldering and metalworking will be required, but when I’m done, I’m hoping for around 15 watts of juicy, old-school 6V6 tone. cost-effective alternatives. The interest in Bell & Howell Filmosound amps goes back to the 1990s and many credit Bernie Raunig with kicking the whole thing off. At the time, Raunig was based in Hamilton, Canada and began doing Bell & Howell conversions for local musicians. They became known as ‘Bernie’ amps and despite Raunig only making between 15 and 30, they gained a stellar reputation. It’s generally accepted that Colin Cripps (Blue Rodeo, Sarah McLachlan, Bryan Adams) bought the very first one and is still using it. Most Filmosound amps had 6V6 power tubes, but the majority of Bernie amps were based on Canadian Bell & Howells that featured EL84s. Raunig left the amp business many years ago, but enough interest had been generated for other amp makers to get in on the act. Back in 2017, we featured a glowing review of a Filmosound conversion from UK company Oldamps. 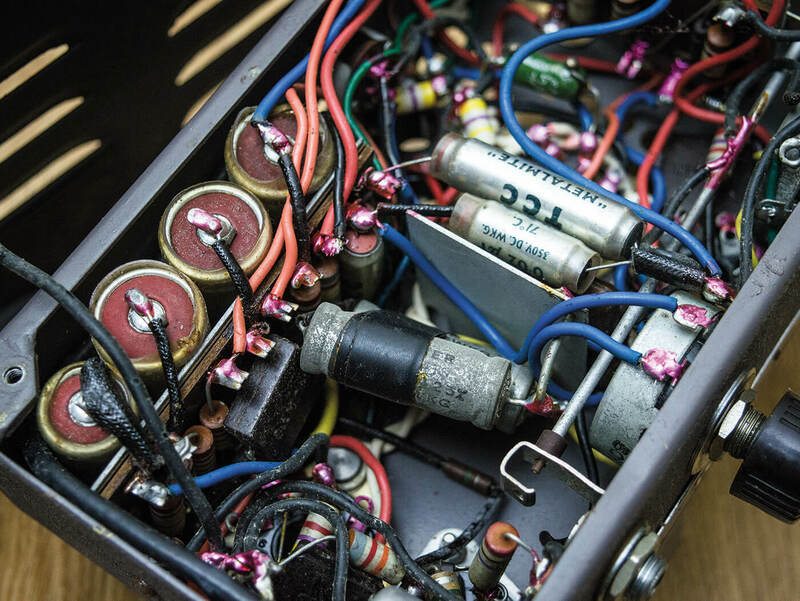 Dave Hunter has also enthused about the Toronto-based Tex Amps’ Texosound Bernie Custom in the pages of this magazine – the amp being a tweaked and upgraded new-build version of an original Bernie, complete with EL84 power tubes. Meanwhile, across the border in Minneapolis, Anthony Roos of At Mars Amplification modifies original Bell & Howells and houses them in head-and-combo cabinets. The Torque and The Specialist are the two models available. Thanks to the original Bernie conversions and the models Blake Mills uses, EL84 Filmosounds are the most sought after. There’s even a Walrus Audio pedal called the 385 Overdrive that’s designed to emulate an EL84-loaded Filmosound. For this project, I sourced two Bell & Howell Model 621 amps at £150 each with valves that are all in working order. Even if the amps turned out to be DOA, the value of the valves alone exceeds the purchase price. My 621s were almost certainly built in the UK and the transformer codes indicate a manufacturing date no earlier than 1950. The resistors look familiar from vintage Leak hi-fi amps, there are UK-branded capacitors and the audio valves are all Mullards and Brimars. Each amp arrived with three 6V6s, an ECC35 octal dual triode and an EF37A pentode in the V1 position. The EF37A was the forerunner of the EF86 and is very highly regarded. Unlike most of our recent conversion projects, I must confess that I have no concrete plan at this stage. I will certainly carry out all of the necessary safety modifications and checks before carefully powering the amps up. Ideally, I’d like to begin with two amps functioning in their stock form, after which I’ll perform some mods on one of them so I can refer back to the other’s original tone. Ramon Goose’s playing combines Delta blues with strong African influences. He was guitarist, songwriter and producer of NuBlues and has worked with Senegalese world-music star Diabel Cissokho, The West African Blues Project and more recently, Desert Rock. 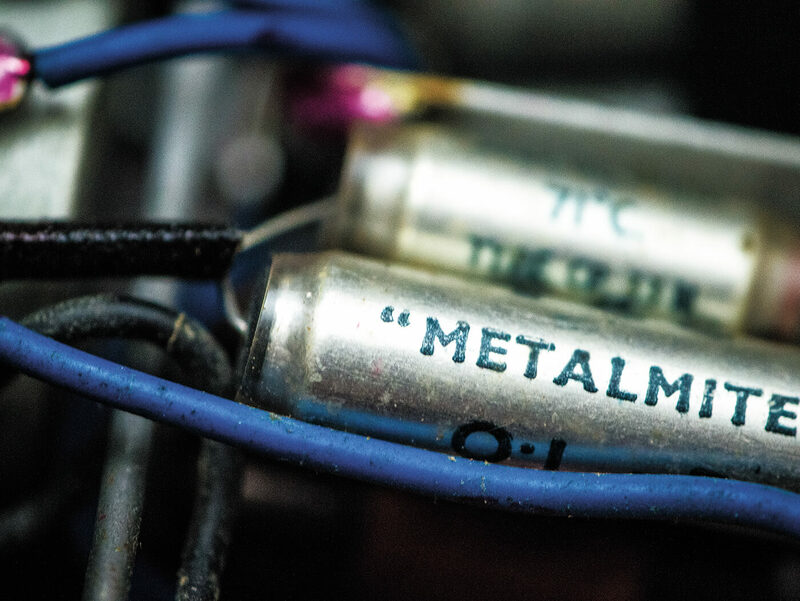 “Bill Krinard of Two-Rock restored my amps and I have both types,” Ramon says. “The EL84 models can definitely be compared to an AC15 or a WEM, because they have that sort of chime. If you want to pick arpeggios, they’re great for that cleaner chordal stuff. The 6V6 ones are a bit grittier and darker, and if you want to crank up for distortion, they’re definitely the way to go. They take boost and overdrive pedals really well, but the EL84 models are better for time-based effects, like delay and chorus. “I visited the London Film Museum and one of the old boys there told me that the Bell & Howell projectors were designed to take a microphone input as well as amplify the film soundtrack. So they were robust, multi-purpose amps, and that makes them good for guitar. He also told me that Bell & Howells were built under licence in the UK by Rank, but those run on 110V, so you still need a step-down transformer. “I use my EL84 with my Tele and a Gold Foil neck pickup, but the 6V6 amp is definitely the best for slide guitar and I use that with my Coodercaster. It has a little less power, but it compresses in a really musical way and sustains so well. You can have Filmosounds at a low volume and they still sound full, like the amp’s really working. You wouldn’t want to turn the volume control above 3pm because they turn to mush, although it’s a nice mush. Canadian amp builder Tony Teixeira has converted many Bell & Howells and has also worked on many of the fabled Raunig Bernies. He now builds the aforementioned Tex Amps, which combine Raunig’s ideas with his own refinements (texamps.com). “Although I’ve never met Bernie Raunig, I’ve worked on about 10 of his amps. They’re really popular with Canadian rock bands and studio pros like Gavin Brown and Bob Rock, and they were all Canadian-made with EL84s and French and English labelling. “Filmosounds look like birds’ nests inside and you can barely navigate through them. After converting one of them, I figured it would better to strip it out completely and rebuild. You can just pull a few of the parts out that you don’t need and get them running, but they don’t sound that great for guitar. “It’s a great conversion platform, because they’re like a one-stop shop. 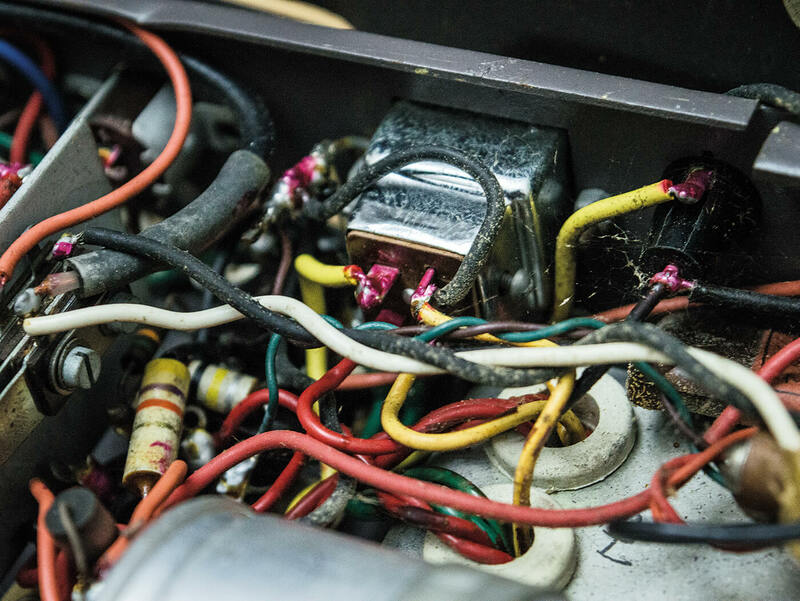 You’ve got everything you need, from the chassis to the transformers and the tubes. My theory is there’s something special about the output transformers that makes these amps sound so great and that’s where the magic is. 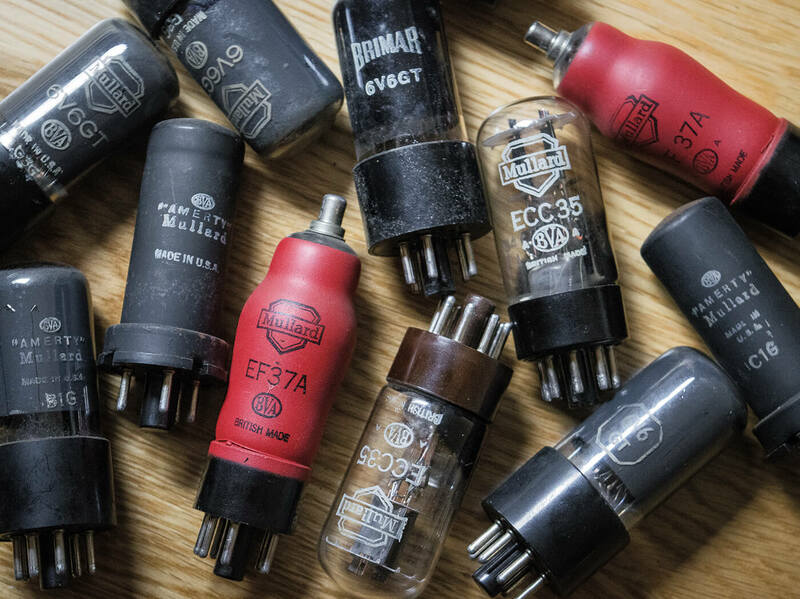 “They were complex little transformers made for high-fidelity sound reproduction and Heyboer makes exact repros for the amps I build. I’ve heard these amps turned into straight-ahead tweed Deluxe clones and they just sound better than the originals. It’s the type of compression and all the extra harmonics when they’re overloaded. “I know Bernie never used any part of the original circuit. I reverse-engineered the Bernie amps with Martin Newell, and made a few tweaks because they were a bit hummy. The Bernie circuit is pretty strange, but it sounds like nothing else and it’s fantastic. “He only used the 12AX7 sections of the preamp, but there was always an EF86 stage sitting on a shockmount that he never used. So I came up with my own version with an EF86, using the Mullard design manuals to come up with a preamp that would work with the power section and phase inverter, although I’ll still sometimes do the Bernie circuit if I’m asked to. “The Canadian amps tend to have Mullards, and Filmosounds were built in various countries. I think they might have manufactured some stuff in Canada, because it could be exported to the UK duty-free because of The Commonwealth. Martin Newell remembers these Bell & Howell projectors from the 1950s when he was in school in England. I believe some of the UK-made ones have a red-coloured front panel. Based in Minneapolis, Anthony Roos specialises in converting the earlier Filmosound models with 6V6s and offers two versions. His company At Mars now offers the cathode-biased Specialist and the fixed-bias Torque with a redesigned phase inverter. “I started out just wanting to build an amplifier for myself and it seemed a lot easier to repurpose something than to start from scratch. I had read about Bernie Raunig’s amps, so I knew that was a platform that would work. I had good luck from the outset and then somebody wanted to buy my amp, so I built another one and one thing led to another. 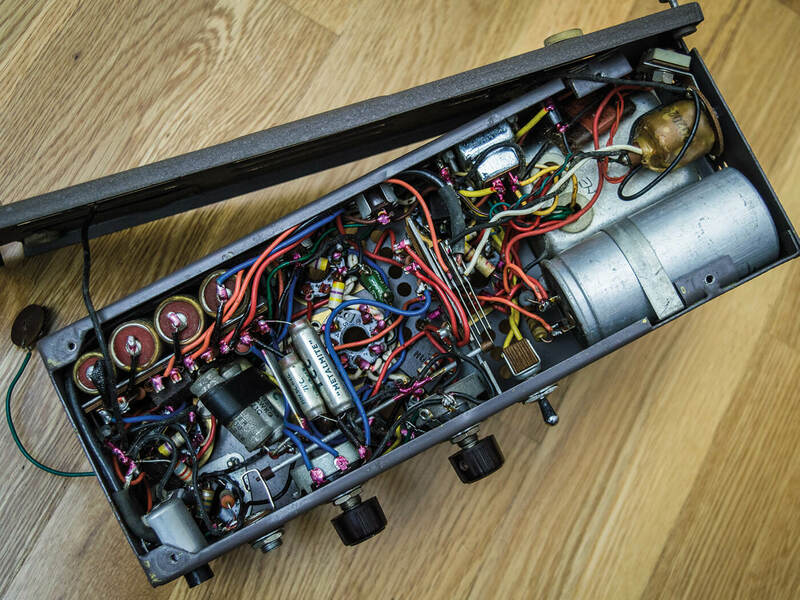 “I ended up gutting the first amp. At first, I just got it working and did a few mods, but it became clear that there were just so many antiquated parts in there that I decided to pull the trigger and start from scratch. I have done both of the main Filmosound variations but because of Blake Mills, prices for the later ones kept climbing. It just seemed more sensible to focus on the earlier ones with the brown finish. Roos continues: “Even with the 6V6 models there are variations, because the later ones with the grey panels have a different preamp circuit. My rebuilds are all wired point-to-point and although I retain some elements of the original circuit, it’s mostly my own design. The problem with the original circuit is that it was designed to reproduce soundtracks rather than guitar signals, so they tend to be super-bassy. Especially the later ones, which in my experience, only sound decent when the tone knob is maxed out. “Whether there’s any magic in the transformers or any other areas is questionable to some degree. There is one thing about the output transformers that’s a little different from what you’d normally get for a pair of 6V6s, because of the impedance. On paper, that would lead to a slightly different frequency range, but I can’t believe it’s that big of a deal. It’s probably just that older transformers are a little better because they’re over-engineered. “I think the appeal as a conversion platform is partly cosmetic. 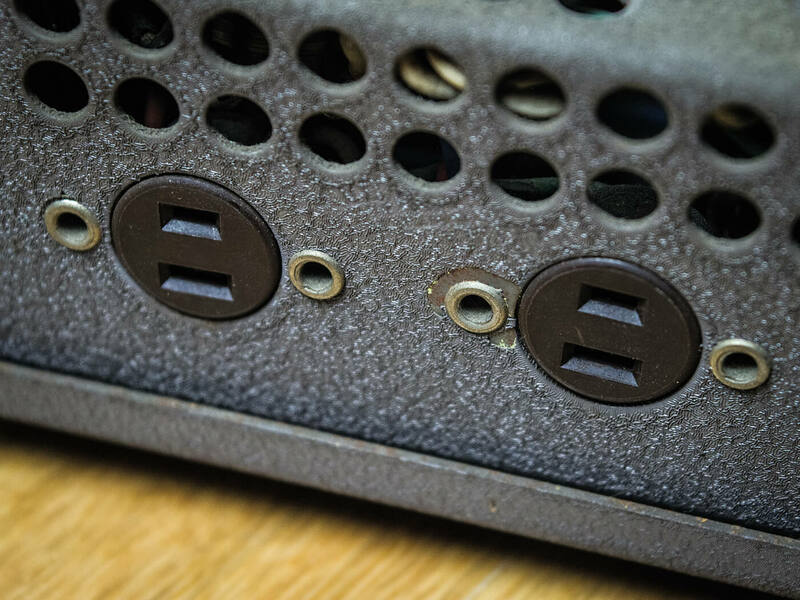 It just looks like a guitar amp, whereas a lot of the PA amps and so forth that people convert have faceplates with loads of crazy knobs and they end up looking obviously repurposed. Based in the UK, Andy Drinkall sells rebuilt Filmosounds under the name Oldamps and offers a rebuild service for those who supply their own B&H. 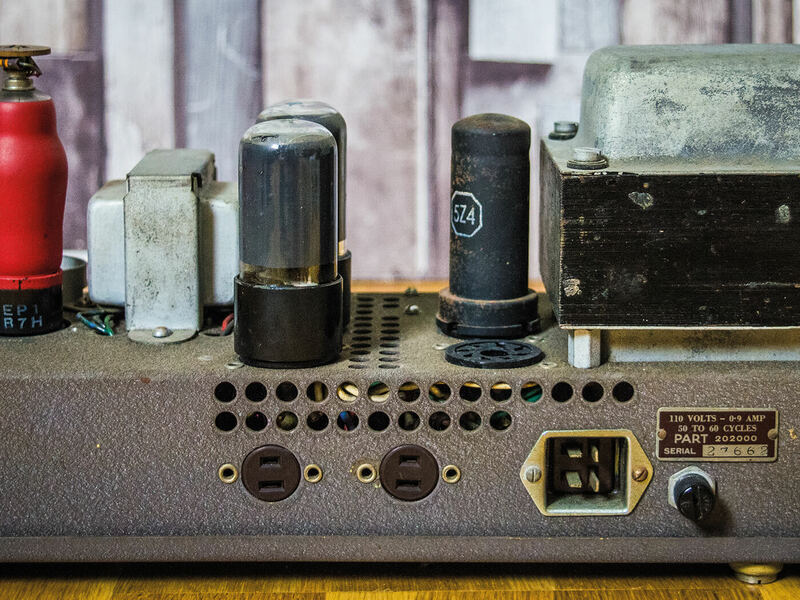 “I stumbled on a 1940s projector amp in a timber salvage yard, loved how it looked and bought it,” he tells us. “Discovering the chassis was a rat’s nest inside and impossible to recap, I decided to gut it. I left the transformers, valve sockets and heater wiring, and designed a new circuit. The layout needs a bit of thought, but most of the circuit can be point-to-point. The transformers are absolutely the heart of the sound, as are the two preamp valves. The mains transformer is huge and stays cool even running flat out; there’s very little sag.